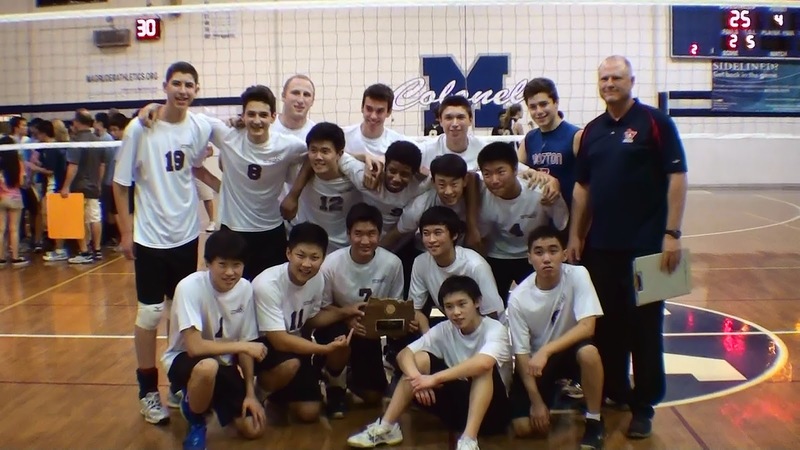 Wootton and Clarksburg played an exciting four-set championship match. Wootton squeaked by with the win 25-23, 25-20, 23-25, 25-18. 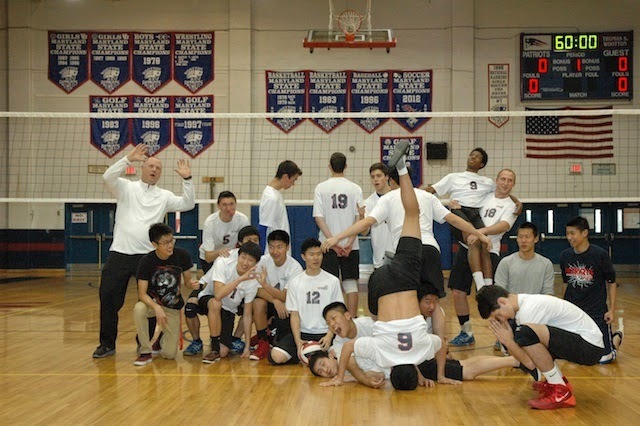 Congratulations to all MCPS boys volleyball teams on a well-played, competitive season! Wootton wins semifinal match against Richard Montgomery 25-23, 25-22, 25-19. A fair crowd witnessed the sporting young men of the Richard Montgomery and Wootton academic institutions compete on the Wootton campus this evening in the activity called "Mintonette." Gentlemen from each illustrious institution took to the rectangular court to trade possession of a ball across a net strung higher than the usual height of outstretched arms of any of the participants. The exhibition was a fine one, and made for a jolly evening. In "Mintonette" the points occur when gravity wins the battle against attempts to bump the ball into the air and over the net. Upon the event of the ball touching the floor (forced at times from one side of the net to the other, usually by a tall or high-jumping smasher), the team unencumbered by gravity's victory is awarded the point. The Patriot-men of Wootton scored seventy-five points in all during the athletic contest and then no more, compared with the sixty-four points scored by the Richard Montgomerians. It had been decided upon beforehand to section the game into equal point-scoring parts whereby a milestone of twenty-five points would become the objective for each school to reach first. The Wootton mintonetters and their followers were jubilant upon reaching the twenty-five point threshold first on three consecutive sections, thereby having bestowed upon them the privilege of playing another contest before breaking for the summer growing season. The formidable tasks at hand for each side proved to be a rigorous challenge and induced the kind of thirst that could dry a well during a rain storm. A well-earned sarsaparilla (in packs of six) could be the reward for each unit's exhaustive efforts on behalf of their schoolmates. The Wootton-eers, upon hearing of the success of the Clarksburg school to the north and their fine squadron of mintonetters, will engage in another friendly game that has been arranged for the Tuesday (May 13) following this weekend's chores and studies. That contest will begin at 5:00pm inside the gymnasium of Colonel Zadok Magruder's namesake school. 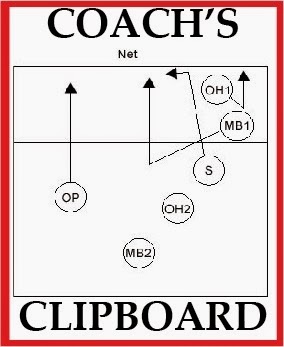 When you were learning to ride a bicycle, what drills did your bicycle coach make you do? "When I teach clinics for both coaches and parents, I reference what other great learning/motor skill/leadership development things that happen in our kids lives, have happening - music teachers (including private ones who get paid per hour), voice teachers, dance instructors, directors of plays, etc - they are quite involved in training, but once the show goes on, you do NOT see them screaming from the audience what should be happening, or calling time outs. They just take notes for the next training. They get paid lots of money to teach/train, but when the performance happens, they sit back and prepare for the next place they can really influence, the next practice. " SNL--High School Chess Coach from Kevin Kelton on Vimeo. I chew gum during matches to release my own competitive energy. The team will default to their level of training and preparation in many cases. Win or lose, game day is a good way to assess the impact of the training. The process of learning continues. Wootton edges Churchill in quarterfinal match 25-21, 25-21, 25-15. A few of "The Wingmen." The Wingman has your back. The Wingman protects the lead. The Wingman's offers mutual support to teammates on and off the court. The Wingman adds offensive and defensive firepower. The Wingman brings awareness to predictable and unforeseen situations. The Wingman improves the quality of production, and puts the team in a position to use more dynamic tactics. Ahhh, but when does The Wingman get the credit? Good question. The Wingman draws satisfaction from the team's performance knowing that their contributions of preparation and presence are the keys to the team's success. Credit doesn't matter, does it? When the value of The Wingman is publicly recognized, it is well-deserved, but The Wingman knows where to deliver the credit: To teammates. To parents. To those who came before. To the respected opponent (e.g. Churchill). To the blessings of opportunity. Wootton's Wingmen show up in the practice gym each day. On game day they play on the court and stand ready on the bench and cheer from the stands. They challenge from the opposing side of the net. They schedule the season the summer before, coordinate officials, and compile results. They collect admission at the door, pay the bills and purchase equipment. They officiate. They keep score. They work the concession stand. They shag volleyballs. They photograph. They drive to away matches. And so on. 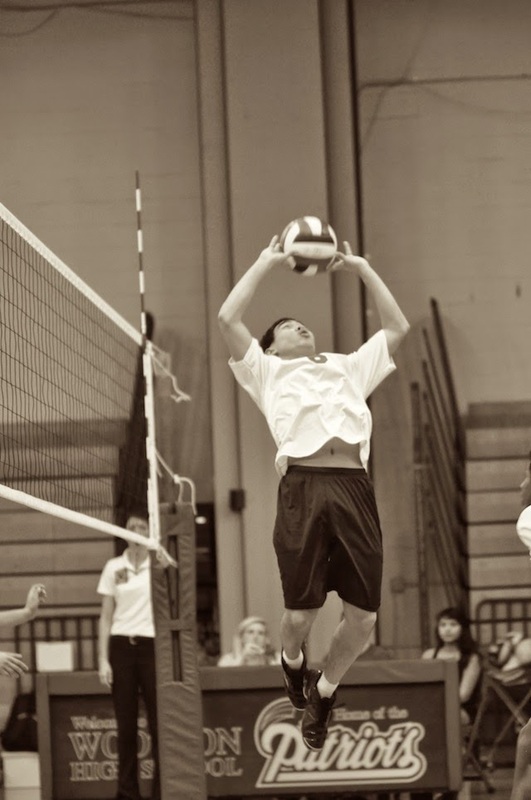 The Wingmen make volleyball happen at Wootton. To their credit, the team plays another day this season. 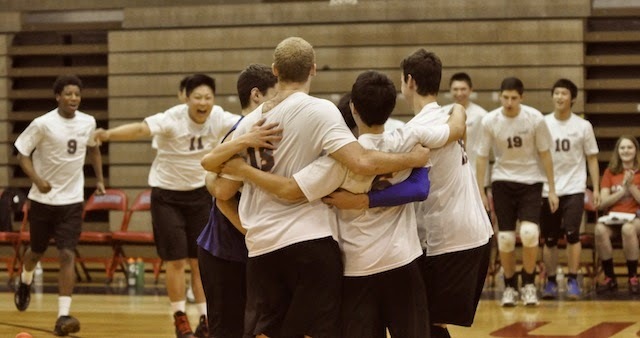 Wootton hosts Richard Montgomery in the semifinals on Thursday, May 8 at 5:30 pm. 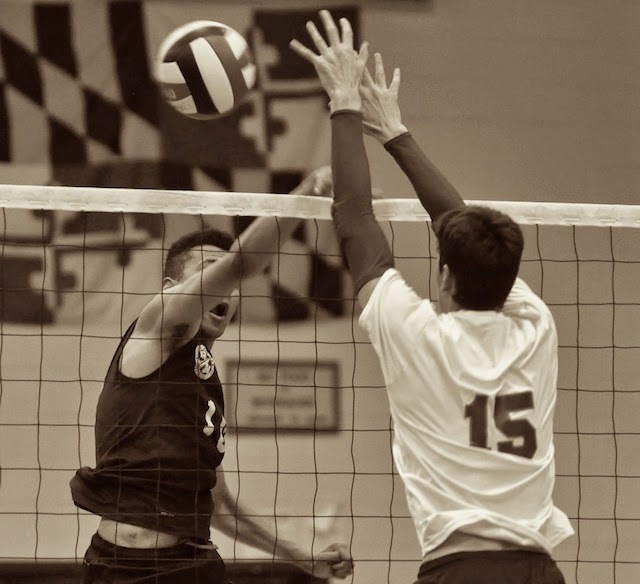 Wootton advances with playoff win against Blair 25-11, 25-15, 25-16. Note: Need new clipboard. Add to wish list. Got a bunch of lists going. Some are on scraps of paper. Others find there way to the trash can. There are to do lists and top ten lists and lists that get shorter and list that get longer. World peace and an end to hunger. A time machine to visit George Washington to show him how to "gator" a volleyball and hear him scream "IT'S UP!!" Water served from pitchers with ice behind the bench to thirsty volleyball players, just to add a classy touch to the volleyball show. To always be nice to the nice because it is nice (to paraphrase M*A*S*H character Colonel Blake). Video with instant replay and also limited "instant preview" to optimize rotation matchups. More opportunities to play volleyball for everyone who wants to play, and for everyone else, too, because they don't yet know they want to play. Greater appreciation for the art in sport and the sport in art. 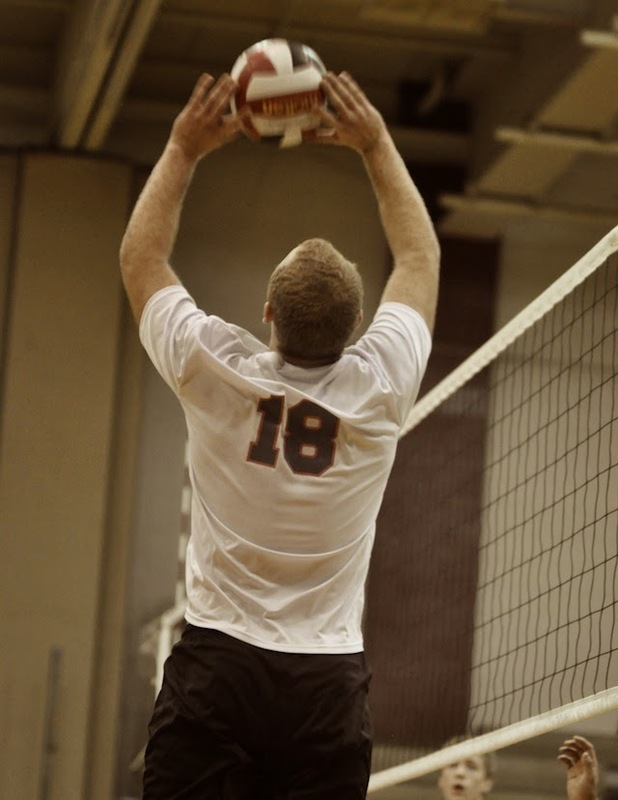 Examples: 1) Volleyballs are great objects for découpage; 2) Training for the movement and form of volleyball transitions has an element of improvisation in its choreography. Rain in amounts less than 5 inches per day. A "gravity release" button and/or arm extenders... at least for aging players. Whistles with an extra set of eyes. 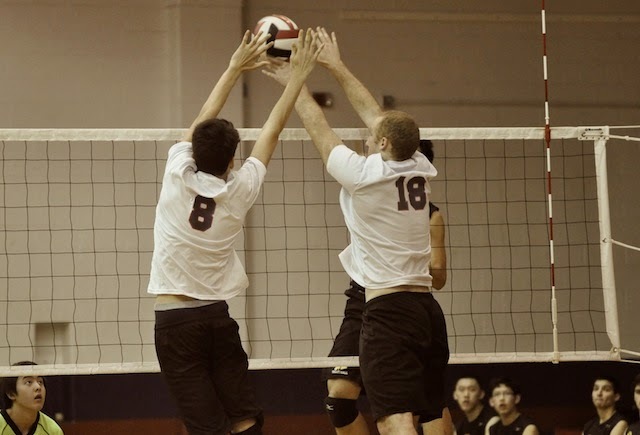 An R2 for more boys volleyball matches would support game management and promote learning opportunities similar to the fall girls season. Expensive whistles, I know. Pens that don't run out of ink during the match. Cushioned seats for the parents sitting on the bleachers. Checklists with a bunch of check marks next to all the items that need to be completed to make everything right. And so on. Feel free to add to the list. We have more time to address these and more. The season has been extended to the second round of playoffs on Tuesday, May 6, 2014. Wootton will play the winner of Poolesville/Churchill. Time TBA.